The VHEC's collection of archival records offers educators a rich resource for engaging students with primary sources of historical evidence. Innovative tools have been incorporated into the Collections website to allow students to work with digitized archival materials directly from the classroom. Discovery Kits provide students with the opportunity to engage with reproductions of primary source documents and artefacts, such as letters, diaries, newspaper articles, photographs, identification cards and government documents. Educators are encouraged to review the About the Archives and Finding Aid sections to familiarize themselves with the collection. The VHEC has developed worksheets designed to promote inquiry, inference and reflection using the VHEC archival collection as a resource for students as they work with primary sources. 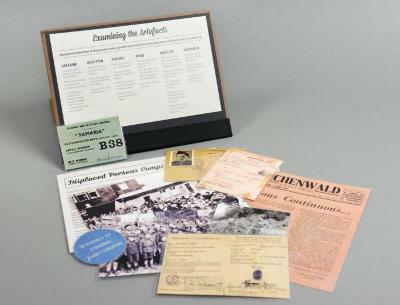 Students may choose from among hundreds of primary source documents, artefacts and photographs. Guiding questions in the VHEC worksheets will assist the student to place the primary source in historical context and make inferences to deepen their understanding of historic events. Additional worksheets for analyzing artefacts and autobiographical texts are found here. Archival items in the VHEC Collection are described individually in catalogue records along with digital images of the item. Alternately, aggregations of the records can be explored by browsing the Finding Aids. These records make it possible for students to independently investigate the creation, ownership, appearance, use and history of any document, photograph or other archival material in the collection. 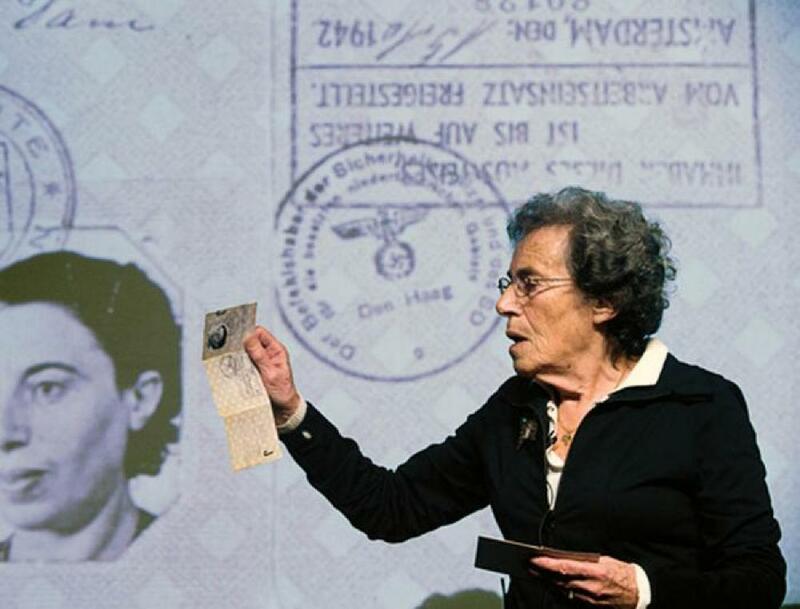 This helps students place materials in their historical context and discover for themselves the unique Holocaust story they represent. The individual record for each item in the catalogue contains links to other items in the collection with the same subject matter (called "access points"). The individual record also contains links to "related holdings" arranged by place, historic event, people and organizations. Exploring links to related items gives students the opportunity to compare how different sources of historic evidence speak to common themes, historic events, people and/or places. Users can browse items in the archival collection and filter results by subject, resource type, creation date, person, place, genre, language and others to explore items relevant to their topic of study. This feature allows students to engage with primary source materials according to their interests and learning contexts. Alternately, aggregations of the records can be explored by browsing the Finding Aids section of the website. 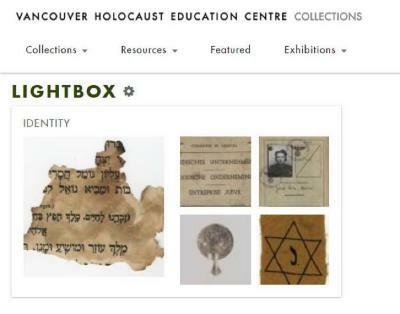 Lightbox is a tool within the collections system that allows users to create, manage and share a customized collection of items from the VHEC Collections catalogue. Students can save selected items from their search or browse results to their Lightbox in order to create their own collection to include in a classroom presentation, lesson plan, assignment or group project. Once a Lightbox collection has been created, items can be added, organized, filtered and annotated, and can also be viewed on an interactive timeline. View the User Guide for more instructions about how to use Lightbox. Student interaction with primary sources is an essential component in the development of historical thinking skills and leads to a deeper understanding of the past. Teachers can use the tools and resources provided in the VHEC Collections website to advance the core competencies in the British Columbia curriculum. Discovery Kits developed by the VHEC are available for two-week loan periods free of charge. The kits place reproductions of primary source documents such as letters, diaries, newspaper articles, photographs, identification cards and government documents into the hands of students. Students are encouraged to examine, describe and analyze the artefacts as a way to investigate issues of discrimination, segregation, hiding, resistance, as well as the aftermath of war and immigration. Teachers' Guides are also included. Discovery Kits provide the opportunity for students to engage with museum items when travel to the VHEC is not possible. More information about Discovery Kits can be found here: How to Book a Discovery Kit.